The Annapurna Siklis Trekking is off the beaten trek that unfolds the natural beauty of Nepal. 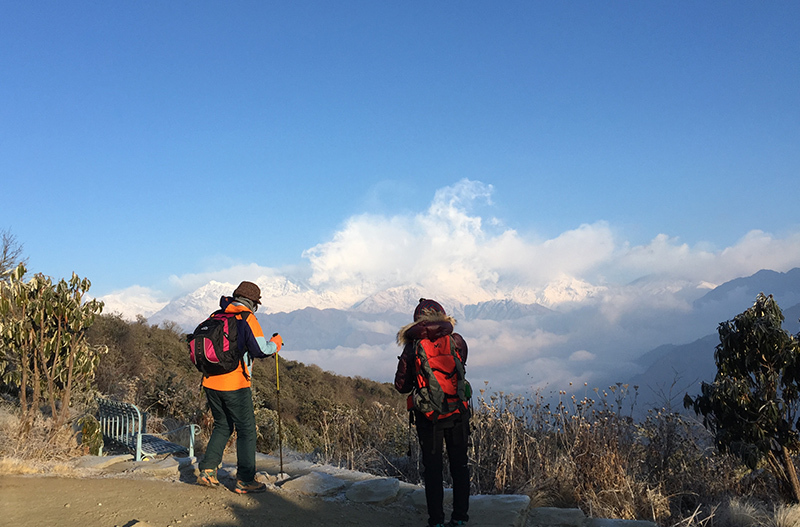 The traditional villages, terraced fields, rhododendron forests, high alpine meadows nestled below the towering Himalaya of Annapurna II and IV are some of the key attractions of this trek. The trial you go through the region which is inhabited by the Gurung community is one of the ethinical group, reach in their cultures and tradition. The destination point reveals spectacular views of the 6900m peak Machhapuchhre. The Siklis village lies above the Mardi Khola (1981m), overlooking Annapurna IV to the north and Annapurna II and Lamjung Himal to the east. The region is particularly famous for bird watching as of its pristine forests surrounding where different species birds thrive. The itinerary is flexible, if it couldn’t meet your time and requirement then it would be changed and designed a tailor made trip according to your wish. If trek is organized in camping then cook, sherpa/sardar and camping gears are organized.